The Dazu Rock Carvings are well known and magnificent series of religious sculptures as well as carvings related to China. It dated long back from seventh century. 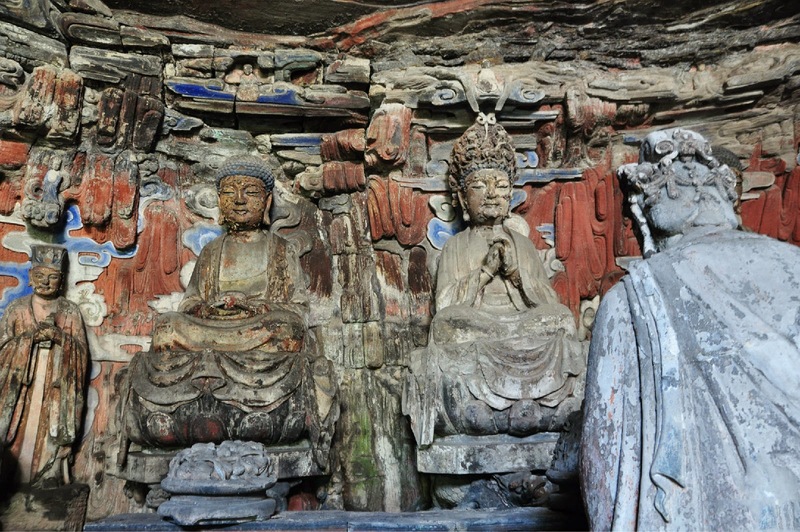 These carvings depict the beliefs of various religions such as Buddhism, Taoism and Confucianism. It is recognized as a World Heritage spot from 1999 onwards. They are made up of seventy five well preserved sites that contain certain fifty thousand statues, with more than a hundred thousand Chinese characters that form the epigraphs as well as inscriptions. 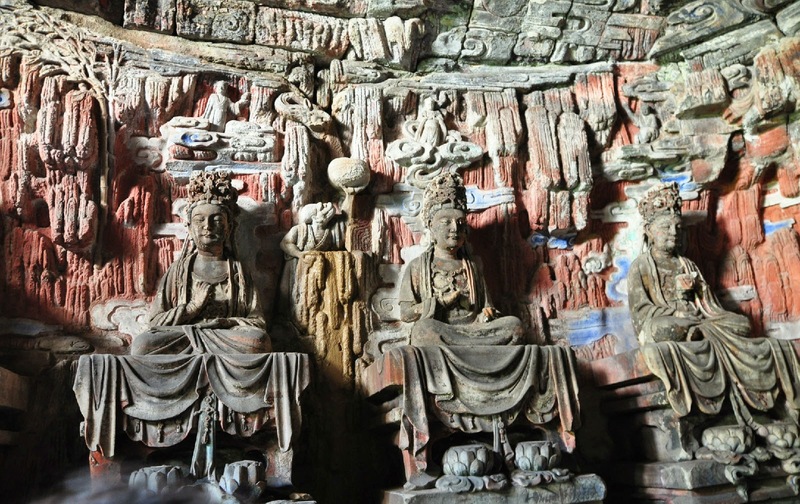 The Dazu Rock carvings are situated in Chongqing Municipality in between the steep mountain hills in Dazu County which is located approximately sixty kilometers from western urban region of Chongqing. The main highlights of Dazu rock grotto can be seen on Beishan Mountain and Baoding Mountain. 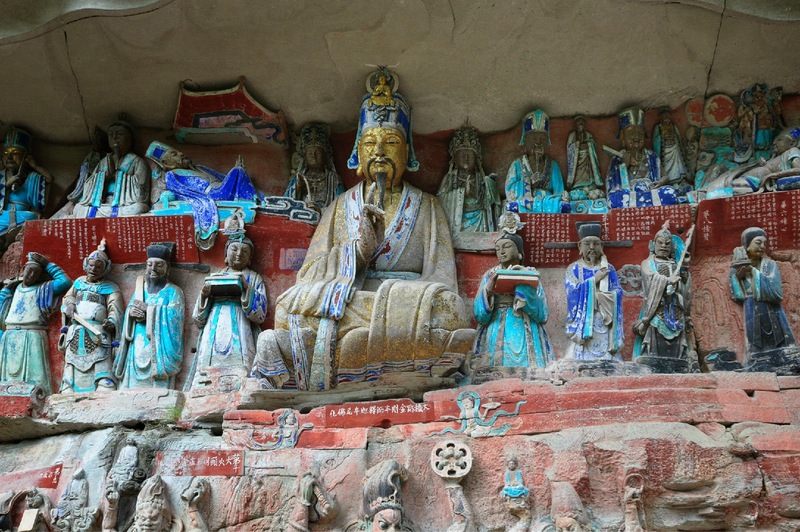 The Dazu Rock carvings shows the aesthetic quality of people, their great diversity in the subject matters – religious as well as secular, and also the light shed on Chinese people who lived in that period. These carvings offer an extraordinary proof of harmonious religious synthesis. The Buddhist sculptures are carved mainly one the stone cliffs. The carvings at Dazu County are very special. It covers tiny regions too compared to the ones in Dunhuang, Datong and Luoyang. There is great difference of Dazu carvings from the other sites in terms of preservation state, quality, and variety of styles as well as subjects. Few sculptures are very small while few are large one. Most of them are painted brightly and explains more on moral, historical and religious matters. Each of the rock carvings in Dazu County can be seen even in the natural light. They are well connected with paths and walkways. The two important spots are Baoding Shan which is sixteen kilometers to northeast and Bei Shan which is located outside the Dazu County. One can get a bus at the Caiyuan Ba in the Chongqing Municipality to Bus Station in Dazu County. The bus ticket is only forty five Yuan. There are mainly 2 bus stations in the Dazu County. Get a bus that can take you to Baodingshan. It costs just three Yuan only. 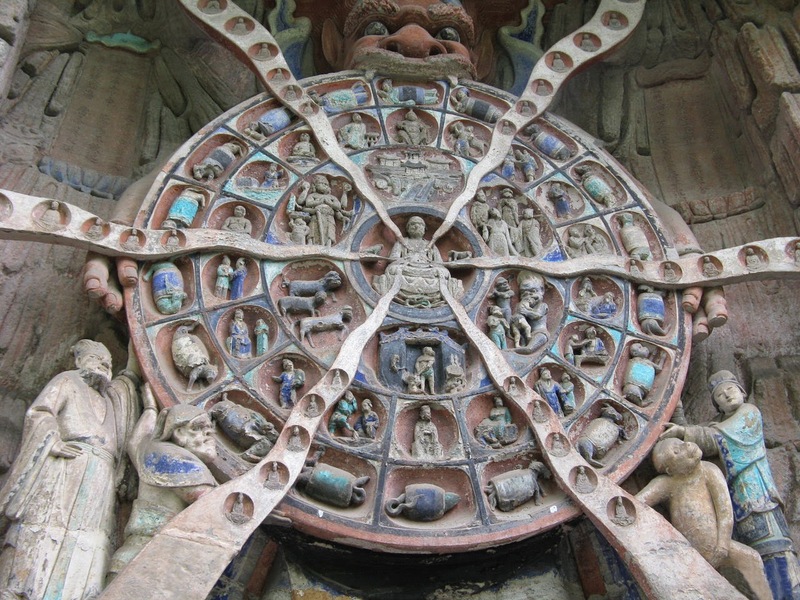 In twenty minutes, you will reach the entrance area of Dazu rock carvings area. The admission fee as well as rate for combined ticket varies based on season. The high season is from March to November while low season is from December to February. In high season, the admission fee is 120 Yuan to Baodingshan, 20 Yuan to Shengshou Temple and 90 Yuan to Beishan. In low season, the admission fee is 90 Yuan to Baodingshan, 20 Yuan to Shengshou Temple and 70 Yuan to Beishan. Combined tickets are available. In high season, it costs 180 Yuan to visit Beishan, Shengshou Temple and Baodingshan, 170 Yuan Yuan to visit Beishan and Baodingshan and 130 Yuan to visit Shengshou Temple and Baodingshan. In low season, it costs just 130 Yuan to visit Beishan, Shengshou Temple and Baodingshan, 120 Yuan Yuan to visit Beishan and Baodingshan and 100 Yuan to visit Shengshou Temple and Baodingshan. 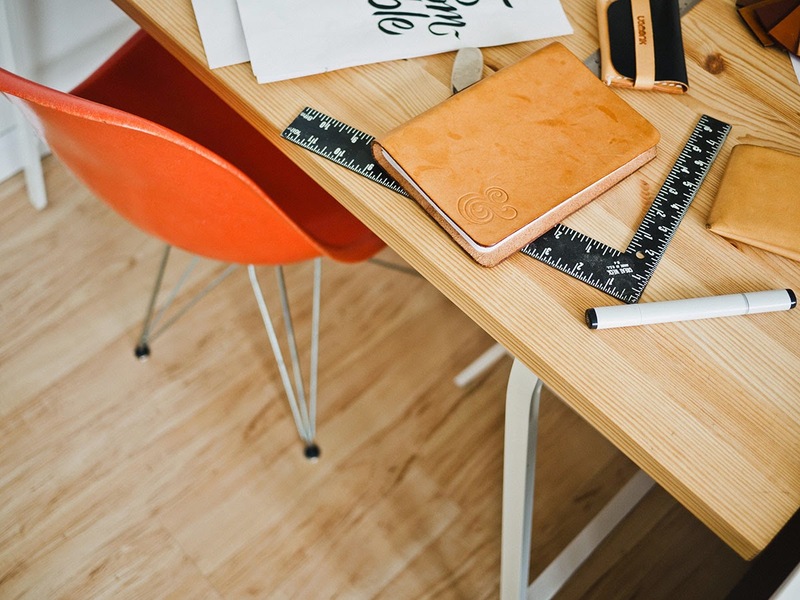 The opening hours start from 8.40 am to 5.00 pm. Hurry up!